If you thought you already knew everything about Mario, perhaps you should watch the above video first. Did You Know Gaming has managed to compile 10 minutes of obscure Mario facts you probably had no idea about. For example, during the Super Famicom era, Nintendo experimented with digital magazine publishing. Despite being officially licensed, these magazines included adult jokes and inappropriate images. Some of the illustrations supposedly depicted Mario smoking, committing physical assault and even showed a lewd act between Toad and Peach. If that wasn't enough, apparently there was a rejected pitch for a 3D game known as Yoshi racing. A Eurogamer article allegedly uncovered this Argonaut Games project which was believed to be the same one that eventually morphed into the 1997 PlayStation release, Croc. And if that's still not outrageous enough, during an interview about the Super Famicom Classic, Super Mario World character designer Shigefumi Hino admit Mario actual hits Yoshi on the head when he rides him - to the point there is even an added "bonk" sound. Hino thought people would feel sorry for Yoshi, so the team decided to pass it off as Mario saying the line "go!" instead. There's much more to learn about, so take a look at the full video above and feel free to share some of your own obscure Mario facts in the comments below. 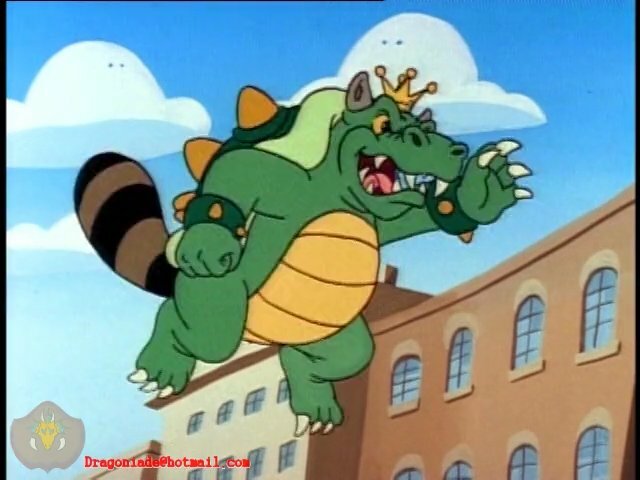 The raccoon tail Bowser in 3D Land is also a homage to the Adventures of Super Mario Bros. 3 cartoon in which Bowser or King Koopa could be seen using the Mario Bros. power-ups as well. The interesting part is that the cartoon actually portray Bowser better with the raccoon suit than Nintendo did as not only did he had a raccoon tail but the raccoon ears as well whereas the Nintendo game version lack the raccoon ears on Bowser. I love how a lot of modern day company mascots have a bit of a mixed, even dark past. Mickie mouse can definitely be included in this, alongside mario. I love all their videos. Always do a great job. But the first few minutes of this video makes me think we need another Mario spin off In 2019. ' Mario goes to the gas station for a pack of smokes and dirty magazines'. We shouldn't too surprised that Mario is physically abusive. Doesn't anyone remember why Donkey Kong try to kill him in the first place? I will admit - it gets hard for me to be surprised by Did You Know Gaming videos these days. But you know what? Some of the facts here are rather surprising. No. Nintendo was not "inspired" by that terrible show. A lot of its jokes and gags related to the games are just borrowed ideas from SMB 1-3 and World, which they then change things up a bit for their quick and lazily put together writing and animation. The few similarities that the cartoon and the later games have are only coincidences. Unless you're joking, please do not spread misinformation. Well! What do I know? I was definitely surprised about when Charles Martinet first voiced Mario, I’d always assumed his debut was Mario 64! Back then it took me a while to get used to his Mario voice after years of Capn Lou Albano and Bob Hoskins voicing Mario. @retro_player_22 Looking at that I'm pretty sure the "ears" are an afterthought. The inside lines and darker fill added in post don't hide the general shape of the horns he always have. Most of these are either retconned out or from games too crappy to be considered canonical. But I had no idea Statue Mario could defeat the rocket fuel flames in Super Mario Bros. 3. @BulkSlash Charles' voice was originally gonna be a gruff Manhattan kind of voice apparently but went with a more friendly tone. @BulkSlash You can never forget Albano’s “And if you do drugs, you go to hell before you die”. 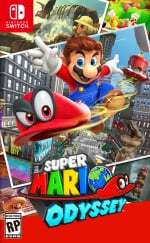 The #MeToo movement probably means we wouldn't get that Mario Peach sexual assault content these days. I love did you know gaming. By far one of my favorite shows on the internet! Please report on this stuff more often. It's always a good watch.